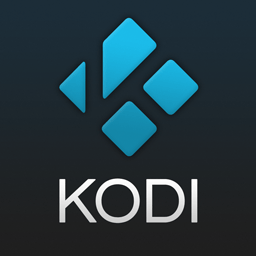 The developer of a Kodi add-on that provided access to a streaming service as long as users had a fully-legitimate account has had his PayPal account limited following a copyright complaint. Anti-piracy outfit Irdeto previously filed DMCA notices against developer Matt Huisman, taking his software down from Github, but Huisman never charged a penny for his add-on so is bewildered by this action. TorrentFreak recently reported on the plight of developer Matt Huisman, the creator of what he believed to be a completely legitimate Kodi add-on. Huisman created the ‘Showmax Add-on’ which provided access to content provided by Showmax, an online video subscription service launched in South African back in 2015. As a competitor to Netflix and Amazon Video, Showmax requires a paid subscription. Despite suggesting that it wasn’t opposed to introducing a Kodi add-on of its own, Showmax never came up with the goods. So, after appeals from the company’s customers, Huisman took it upon himself to create an add-on so that Showmax users could conveniently view content inside Kodi. The important thing to note is that the ‘Showmax Add-On’ was designed from the ground up to be non-infringing, in that it required all users to have a valid, paid-for subscription with Showmax. Nevertheless, Showmax recently asked anti-piracy company Irdeto (Denuvo’s owner) to take action against the add-on, filing complaints with both Huisman and Github, where the add-on had its official repository. With the Showmax Add-On taken down from both Huisman’s site and Github, the matter was considered to be over. However, that clearly wasn’t the case. In a move that makes little sense, Irdeto has now filed an infringement complaint against Huisman with PayPal. “We are contacting you as we have received a report that your website www.matthuisman.nz is currently infringing upon the intellectual property of Irdeto BV. Such infringement also violates PayPal’s Acceptable Use Policy,” an email sent to Huisman by PayPal reads. Huisman, who is the developer behind several similar projects, has a “Show me Love” page on his site, in which he invites fans to donate in appreciation of his work. He informs TorrentFreak that he never sold the Showmax Add-On and he’s shocked that Irdeto has taken such action. “Irdeto have just had my PayPal (for donations) shut down. Wow! I wasn’t even selling [the Showmax] add-on,” he says. Huisman is now required to file a counter-notice with PayPal in the hope of regaining full access to his account. However, PayPal has already warned him that if action isn’t taken soon, the company will “escalate” the matter. “Failure to respond by the following date will result in the further escalation of this issue: December 01, 2018,” PayPal’s Brand Risk Management center advises. On face value, this action by Showmax and Irdeto (who are both owned by corporate giant Naspers) is somewhat confusing. It is perhaps understandable that they don’t want a third-party Kodi add-on being used to access their content (even though an account is still required), but going after a developer’s means to take donations for all of his projects is a measure usually reserved for fully-fledged ‘pirate’ sites.